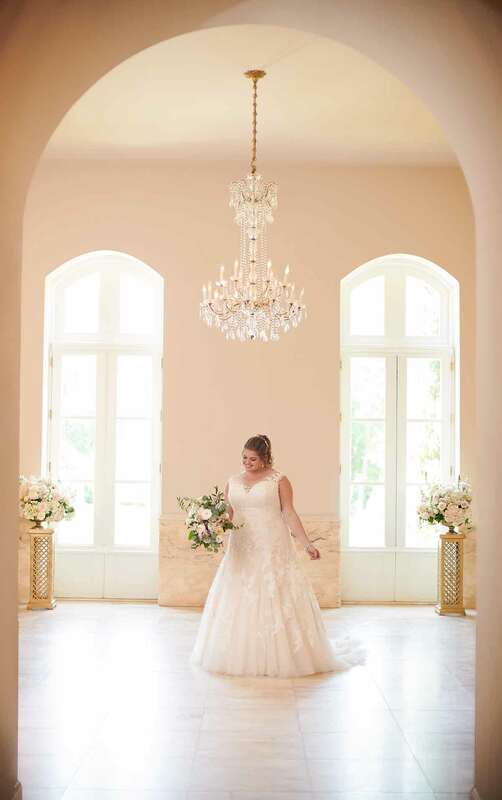 Flower power lace takes center stage in this modern plus-size wedding dress in a stunning A-line silhouette from designer Stella York. 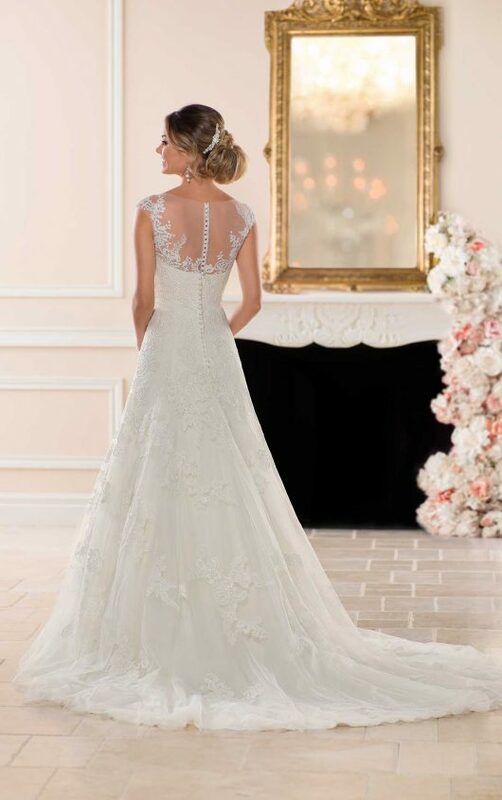 The asymmetrical neckline highlights the garden-inspired lace over ivory illusion tulle. 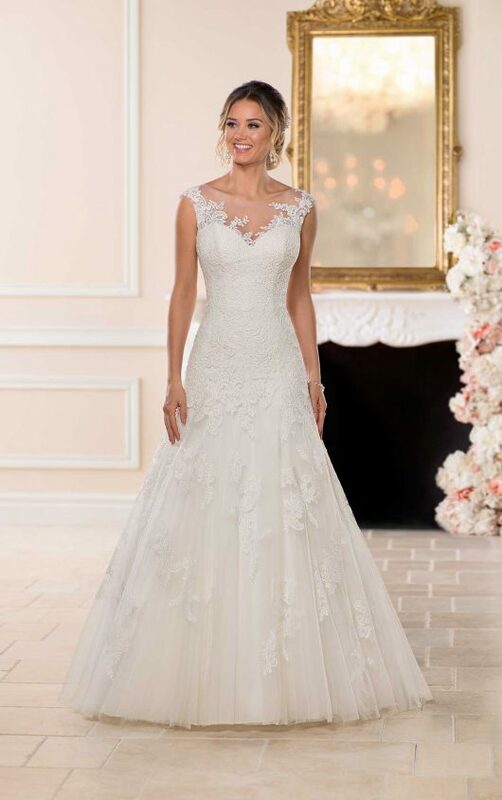 Layered lace is used throughout the gown, giving it an elegant look. Fitted to flatter throughout the bodice and flaring with sophistication at the hips creates a classic shape. A long lace train adds a touch of formality to this otherwise soft and romantic look. This lace wedding dress is finished with buttons over tulle.